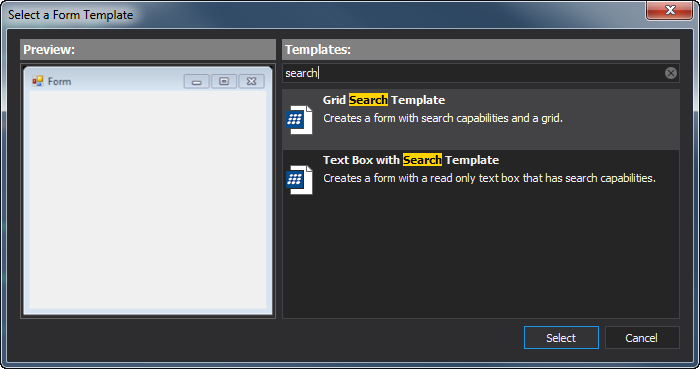 PowerShell Studio 2016 is released as part of the regular update cycle for our subscribers. We will cover all the new features in a series of “What’s New” articles. 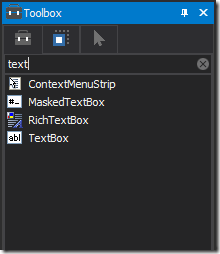 In this blog, Part 1, we introduce new UI features, including our new dark themes. in Part 2, we introduce our new debugging features, including variable and function breakpoints and improvements to the Variables pane. 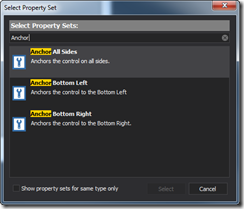 In Part 3, we look at some of the new editor features of PowerShell Studio 2016. 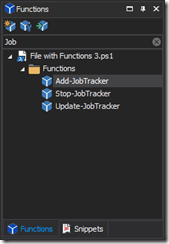 In Part 4, we show the new customizable PrimalSense in PowerShell Studio 2016. 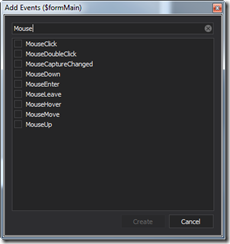 Now let’s take a look at visual changes made to the application. Join the Dark Side or the Light Side? For those of you who enjoy dark backgrounds, we improved support for the dark theme throughout the application. 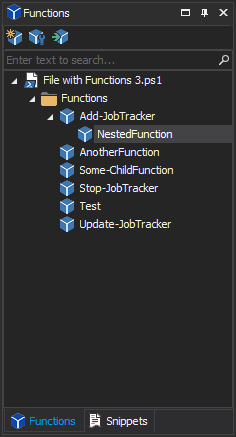 In fact, the dark theme is the new default for the application. 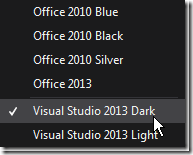 When switching to and from the “Visual Studio 2013 Dark” theme, PowerShell Studio will automatically update the editor’s syntax coloring to match the theme. 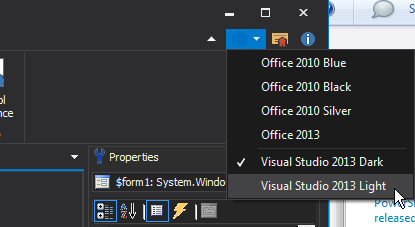 Note: When updating from PowerShell Studio 2015, 2016 will retain your current theme and coloring preferences. We moved all our source control features into a dedicated tab for your convenience. You can now access Restore point, Version Recall and Source Control commands in this unified tab. For those of you who wish to use your own editor coloring scheme when switching between themes, we have you covered. All you have to do is create an editor preset and name it the same name as the theme you wish to be the trigger. Press the “Save As Preset” button. Save the preset using the desired theme name. 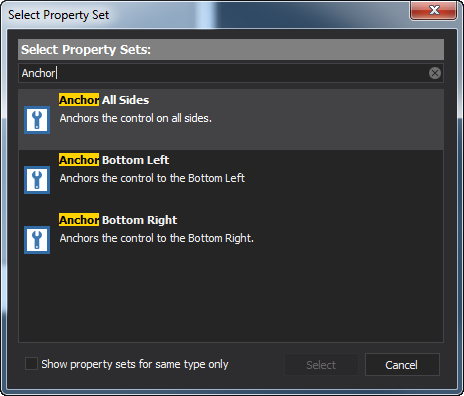 Now PowerShell Studio 2016 will automatically load your editor preset when the matching theme is selected. 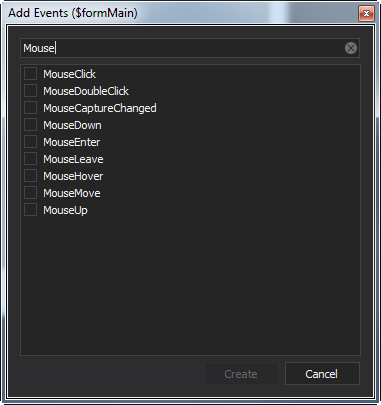 You can use the selection list to select controls in the designer. 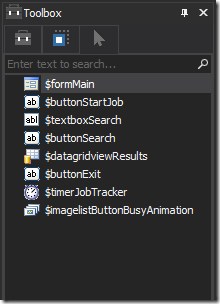 Use the search field to quickly location the desired control in your GUI. We also add search / filtering capabilities to various dialogs throughout the application. 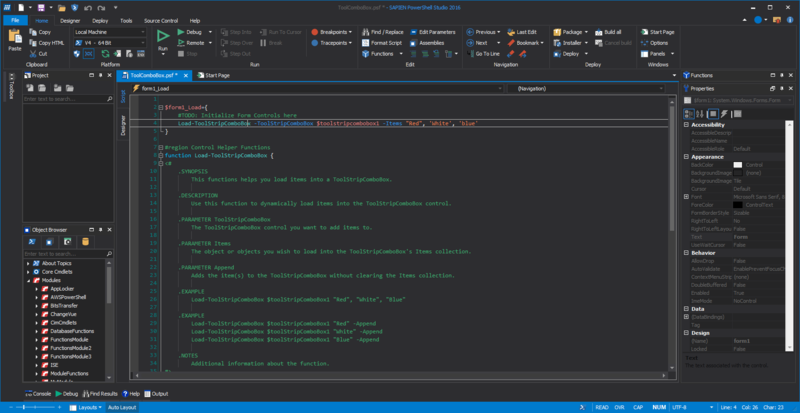 Stay tuned for Part 2 of “PowerShell Studio 2016: What’s New?” blog series. 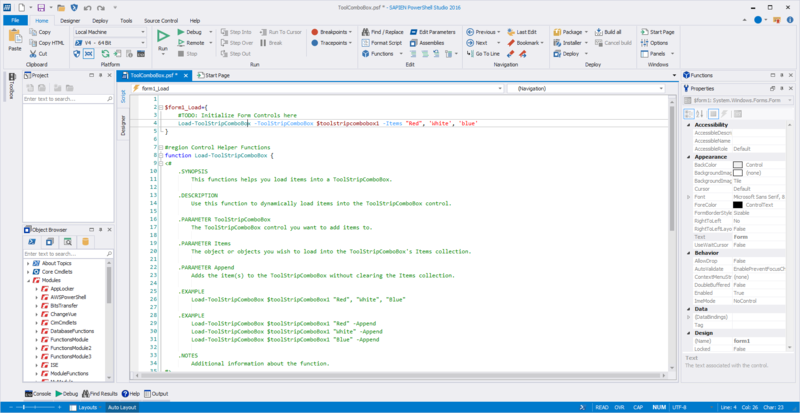 #PowerShell Studio 2016 is released! 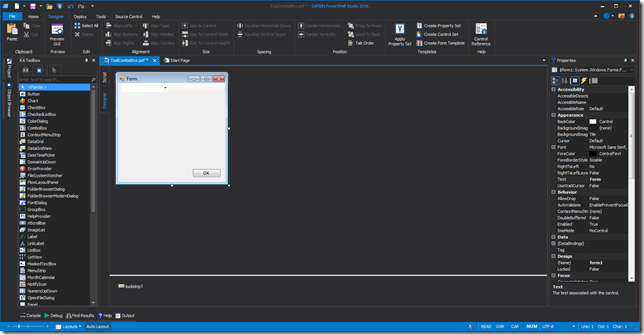 RT @SAPIENDavid: #PowerShell Studio 2016 is released! @juneb_get_help @SAPIENTech nice, a lot of the issues I brought up with the themes have been getting fixed. @juneb_get_help @SAPIENTech wow good timing, are you excited? @SAPIENTech PowerShell Studio 2016 is great. The interfaces is more responsive. Thank you!